Comment: I would like to get an estimate to paint 4 bedrooms and install new crown molding. I can discuss this project with you. Comment: Looking to paint the trim and exterior of doors and trim in hallway. Paint ceiling and trim white. Paint accent walls in hallway and dining room. Comment: Restain an existing fence. Comment: renting out house and it needs repainted before I put it on the market for rent. Comment: Would like to paint My cabinets asap.light wood does not go with interior design. have 24 door cabinets & 9 drawers. Totaling 15total cabinets & 9 total drawers. Frisco Painting Contractors are rated 4.78 out of 5 based on 2,352 reviews of 140 pros. 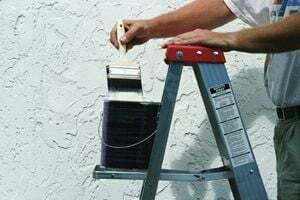 Not Looking for Painting Contractors in Frisco, TX?